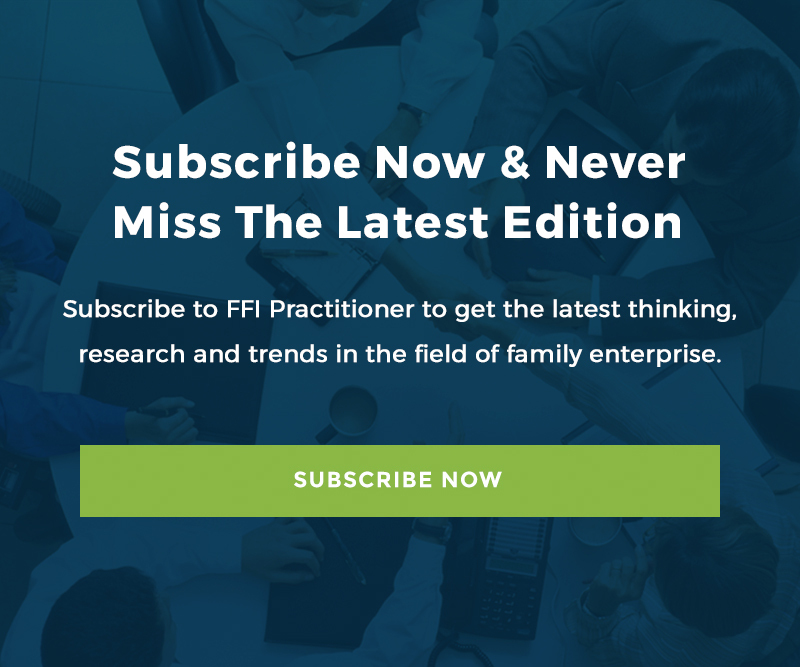 In this issue The Practitioner is pleased to have a blog by FFI member and member of the Practitioner Editorial Board, Boris Matijas. He comments on the transformation of the industrial era towards the information society, and the impact it has to the family businesses. When Nicholas Negroponte, prophesied that, in a very near future, we will be moving more bytes than atoms, he was referring to the obvious process of transformation from analog to digital communication. However, it is a very interesting analogy to have in mind when observing the transformation of the industrial era towards the information society, and the impact it has to the family businesses. In the year 1955 among the twenty mayor companies from the Fortune list, 17 were big industrial groups and companies. In the year 2012 only six of the companies from the industrial sector remained among the first twenty. The rest belong to the IT, financial service and communication service oriented companies. However, the other difference is that there are also two family owned companies, with something very similar in common: the ability to transform. Wall Mart, expanding its Internet retail business and catching up with e-commerce giants like Amazon and Ford, transforming itself from an ‘old economy’ firm to a ‘new economy’ firm using the Internet to further its objectives. Meanwhile it seems that in the “battle” between the bytes and atoms, most of the family business is leaning on to the “atom side”, probably due to the high cost of switching from one technology to another. But how long can the family business keep on moving atoms, watching the bytes running the show? In the previous transition, from manufacturer to industrial model, family businesses were mainly prosperous due to the ability to understand that while the companies were growing, the increases in both production and distribution was creating problems that could only be solved by employees with functional specialization and the knowledge and skills required were going far beyond what any family however prolific could muster, as observed by A. Chandler. Today, the information and its main particle the byte are the fundamental resource in any business. Finding talented, skillful, innovative and motivated people, inside or outside the family, capable of moving bytes and extending networks, is probably one of the major challenges that family business are facing. The World is wired up and ready for business. All it needs is values, vision, myths and history to guide it. That’s something that family business have in abundance and have been using for centuries, shaping and humanizing the progress. It’s time to byte up! The time will surely award the family business that initiate this transformation and the professionals who serve and advise them. Boris Matijas, is founder and director of Archipielago – Editorial Platform for Family Business.